It is fun when you get to be you and experiment with various medium life has to offer. In this case, I got this beautiful turban courtesy of AzuraAzwa, a brand that I fell in love with since its debut back in Malaysia. So what can you do when life handed you an AzuraAzwa turban? You make more turban styles that is! Now I'm gonna show you my favorite looks out of this versatile head piece. 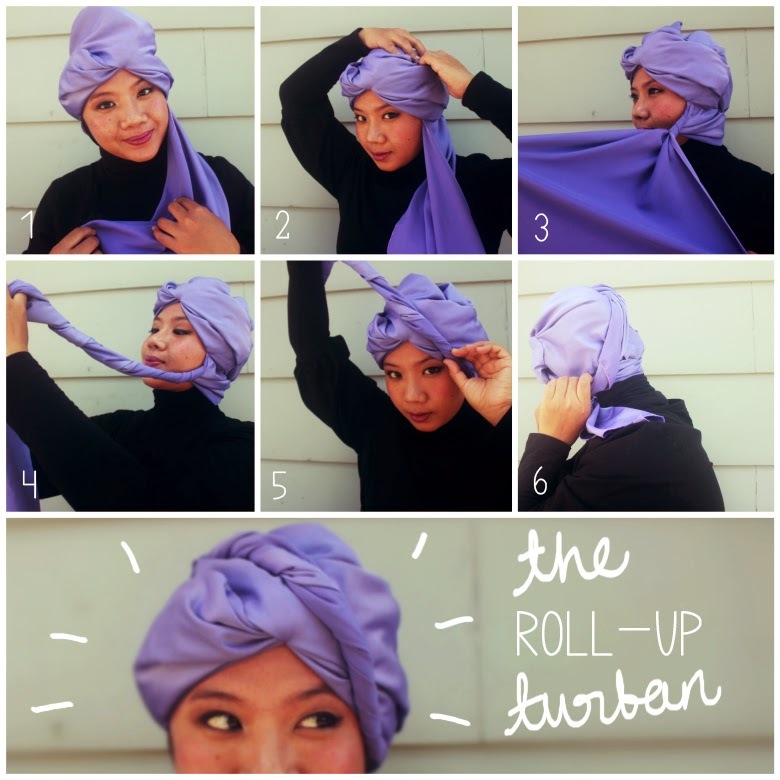 The Roll-Up Turban --- 1: Wear and adjust the turban till the loose fabric is on your left. 2: Tuck the top by pushing it in. 3: Twist the side till it looks like no 4. 5: Bring the twisted part to the back on the opposite side and slot it inside your turban like no 6 and you're good to go! 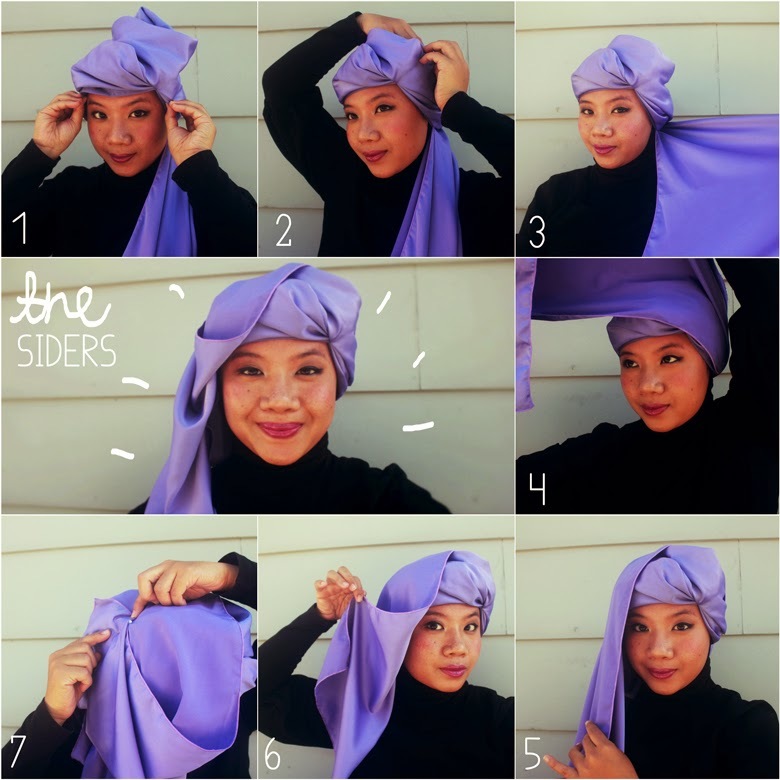 The Siders --- 1: Wear the turban and adjust the front by having the bulge part right on top of your forehead. 2 : Tuck the top in. 3: Open the loose fabric and bring on the opposite side like no 4 till you get the look like no 5. 6 : Pinch the side and bring it up. 7 : Pin it and you're done! 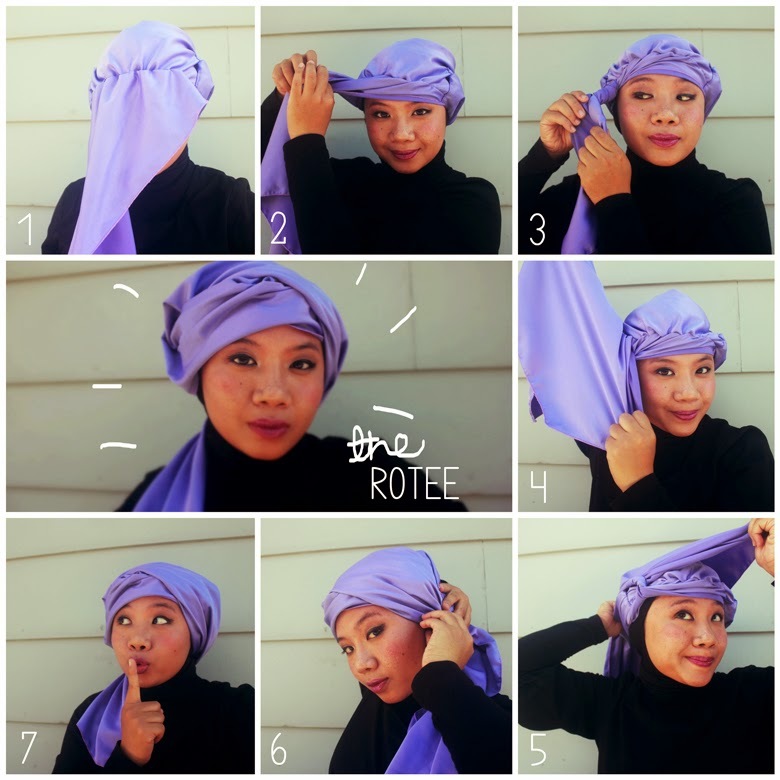 The Rotee --- 1 : Wear the turban and turn it back to front till the loose fabric covers your face. 2 & 3 : Grab the loose fabric and twist 3 - 4 times (don't twist till the end) 4 : Open up the remaining loose fabric and bring to the opposite side like no 5. 6 : Arrange the gather and pin it. 7 : Park the loose fabric on the opposite shoulder and that's it. 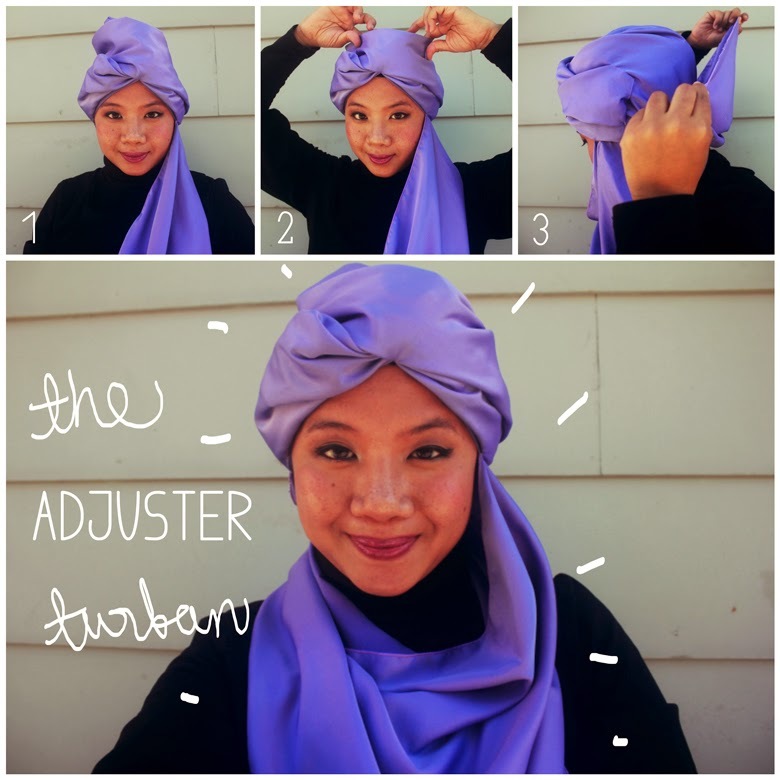 The Adjuster Turban --- 1 : Wear the turban with the loose fabric hanging on the left side. 2 : Tuck the top part in. 3 : Bring the tip of the loose fabric to the opposite side and pin it at the back. Easy peasy this one. You're done! 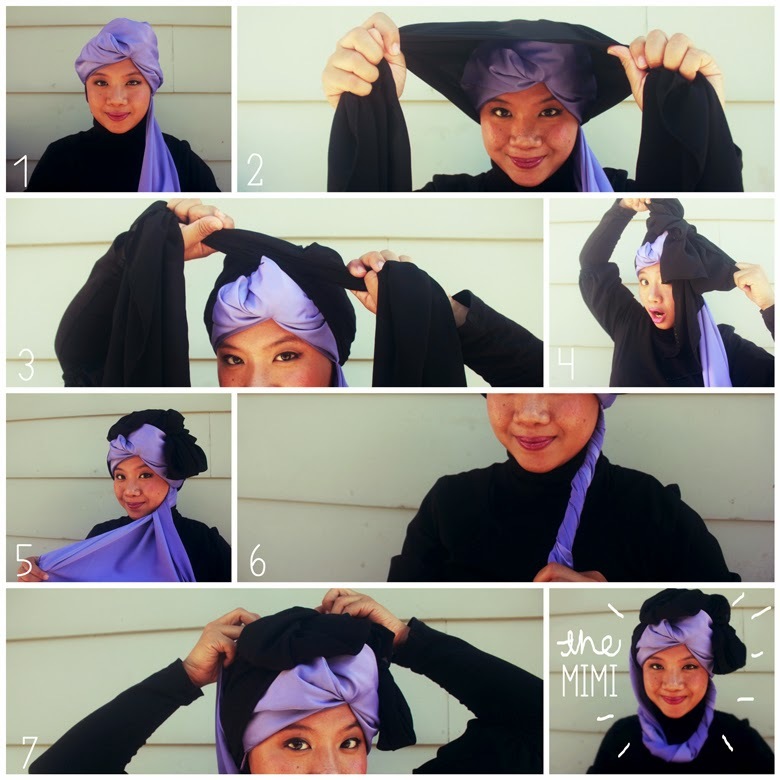 The Mimi --- 1 : Wear your turban like so. 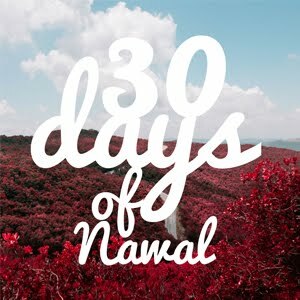 2 : Get another scarf. 3 : Tie a bow till it look like no 4. 5 & 6 : Twist the loose fabric till the end and bring it up an pin it on top like no 7 and tadaaa! 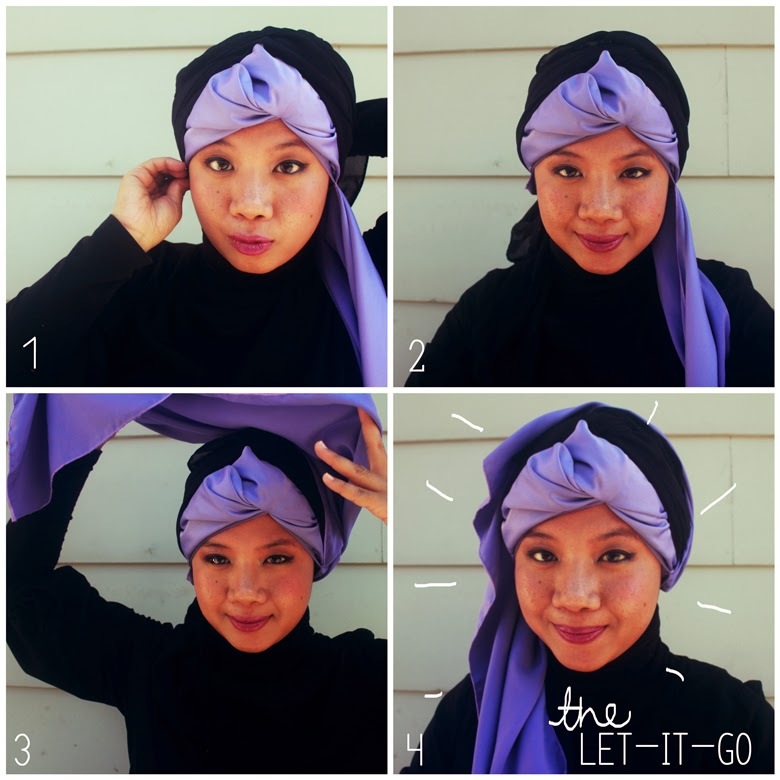 The Let-It-Go --- 1 : Wear your turban with the loose fabric on your left. Get another scarf and tie it on top of the turban. Park the end of the 2nd scarf on the right shoulder. 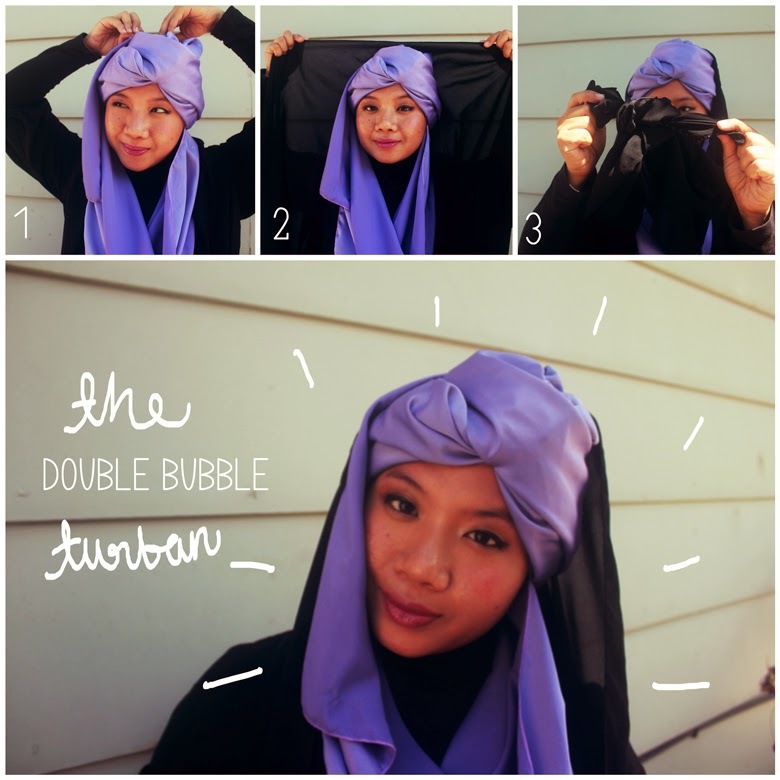 3 : Bring the turban's loose fabric on the opposite side and park it on the right shoulder too. You can pin it if you want. The Double Bubble Turban --- 1: Wear the turban and pin the loose fabric on the top opposite side. 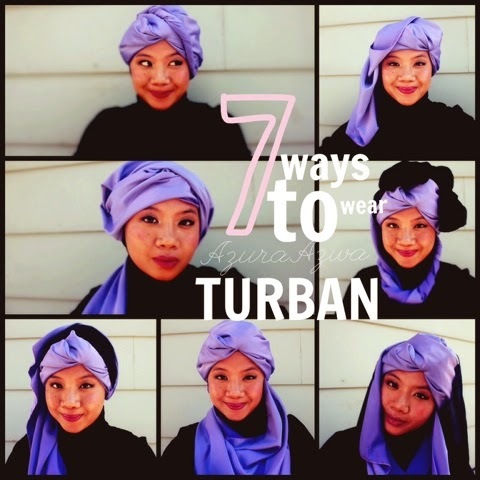 2 : Get another scarf and put it on top of the turban. 3 : Tie the end of the second scarf to a knot or ribbon and that's it! Super easy! Have fun experimenting with the turban and have a go yourself. You can get this turban from AzuraAzwa and it comes in many colors too!